This book is sold as a PDF eBook Download which you will have access to as soon as you make your order. 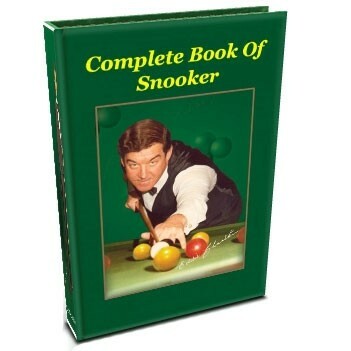 The book has 197 pages and is full colour photos and is a timeless great in the sport of snooker. Whenever I give exhibitions, and that is very often indeed in these days when snooker, billiards and pool are among the most popular games to play and watch, I always finish with a selection of trick shots. Occasionally, perhaps when some exhibition matches have been too one-sided, an audience may lack the customary tension and excitement that one can feel during matches. But the concluding trick shot exhibition never fails to win them over and send them home happy with an evening's entertainment. My trick shots can be kind to me, too. I may have fluffed some shots in matchplay, but after I have brought off some amazing trick shots (and amazing is the word for some of the shots in this book), they would refuse to believe I am not the greatest player ever to have picked up a cue! That is one of the secrets of trick shot making. You can perfect them and get them right every time (well, almost!) even when you are mucking up simple, straight pots. But it is no easy thing. You will have to practise some of them for many hours before you can be confident that you will get it right. The main point I am making, however, is that slick, spectacular trick shots can be brought off by average players who are prepared to practise them. And what a glow of satisfaction you will get when you set up an 'impossible' shot before your family and friends, and then send the balls unerringly to their destination. I like playing trick shots, and always enjoy the feeling of having brought off a good shot and amazed an audience. 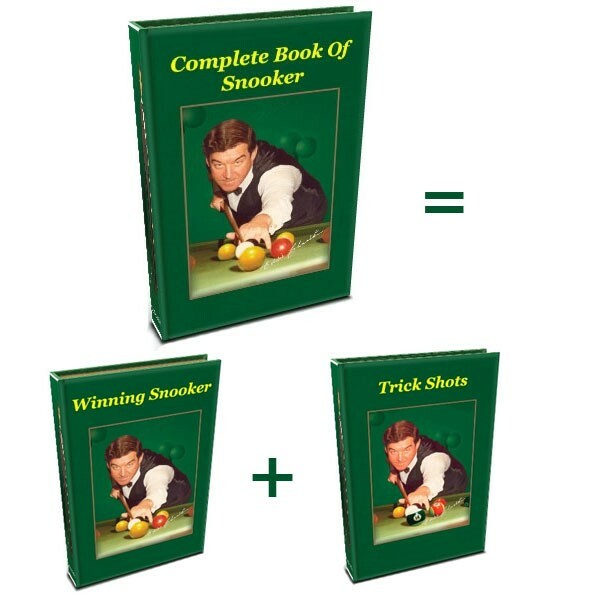 This section shows trick shots of varying degrees of difficulty, with explicit instruc¬tions and a colour photographic guide of how to play them. Some will take the average player a fair while to perfect and there are others where I am, perhaps, showing off and which may be beyond the range of the average player. But do try them all — they are all achievable and the pictures of moving balls and balls in the air attest that there are no set ups here. I would never offer a shot that I could not play myself, but I would not guarantee to get some of the harder ones, such as the Flying White Horse, or the Kangaroo Hop, first time. There are other shots that I guarantee you will master very quickly, and one or two that you cannot fail to get first and every time provided that you can hit a ball reason¬ably straight. One such shot is a sneaky push shot where you will clear the obstructing balls with a cannon and keep your cue going to pocket a red. In another, pocketing the ball when planted, you cannot fail to pocket the planted ball if you make contact with the cue ball anywhere but dead centre around the circumference of the red. Shots like that are in the book because, like all trick shots, they are fun to play and they will give the beginner a glow of success that will lead him to work on some of the harder shots.